More than half of the value of donations made to Syria through smaller charities ends up in the hands of militant groups such as Islamic State, according to a counter-extremism think tank. Haras Rafiq, head of outreach at the Quilliam Foundation, told Newsweek Europe: "When you take out the major charities such as the British Red Cross and the Red Crescent, more than half of the ‘aid’ that goes out to Syria ends up with militant groups. "These are organisations that take advantage of well-intentioned people, giving money for what they think are humanitarian causes. The majority of this money comes from the UK and goes to IS," he said. Rafiq told Third Sector that the 50 per cent figure was a deduction rather than an analysis. He said that projection was "based on the inevitability of what is happening on the ground, that smaller charities working on the ground might not be so able to do the same due diligence as larger charities, and they will end up with their money getting into the hands of militant groups". He said he advised people wanting to give to Syria to donate through larger, more established charities. This year has seen a number of arrests made over alleged charity fraud with connections to terror in Syria. The Charity Commission has also investigated or looked into several charities operating in Syria, including Al-Fatiha Global, which organised the aid convoy that took the murdered volunteer Alan Henning to the country. Having previously declined to comment on these reports, the charity has now confirmed in a statement on its website that Henning travelled with its convoy. The commission has also opened a statutory inquiry into Children in Deen, after it emerged that a British suicide bomber had travelled to Syria with the charity. A spokesman for the Muslim Charities Forum, a membership group of aid charities, said that cases of charities being abused for terrorist financing were rare. He said this was highlighted in the Charity Commission's compliance toolkit, which says: "Proven instances of terrorist involvement, support or association with terrorism in the charitable sector are low in comparison to the size of the sector." 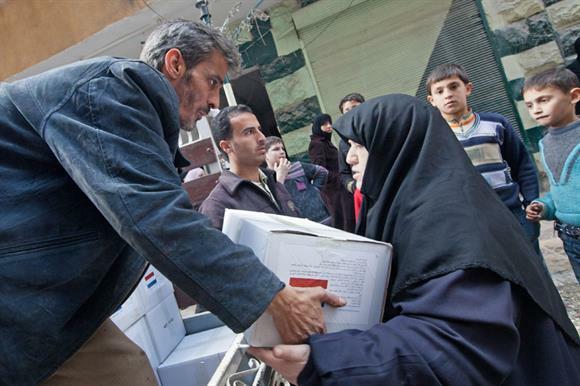 The spokesman said: "We are aware of the fact that a number of new charities have been registered since the crisis in Syria began, without the necessary experience to work in such a difficult context. What is required is greater support of these smaller organisations from the outset so they are made aware of regulations and risks involved in working in regions with a high incidence of proscribed groups." Meanwhile, a newsletter, published by the Department for International Development this week, says that the UK has allocated almost all of the £700m of aid committed to help people affected by the Syrian conflict. Half of the money has gone to United Nations agencies and programmes, and the second-largest recipient is listed as "undisclosed humanitarian agencies, not named for security reasons (operating outside of the UN led response)", taking £127.1m of money. The biggest contribution to a single non-UN agency was £44.1m to the Scotland-registered aid charity the Mercy Corps. Other agencies include Oxfam, the International Rescue Committee and Islamic Relief. For more on the issues facing Muslim charities and other charities working in Syria, see the feature on page 32 of the new issue of Third Sector, out this week.